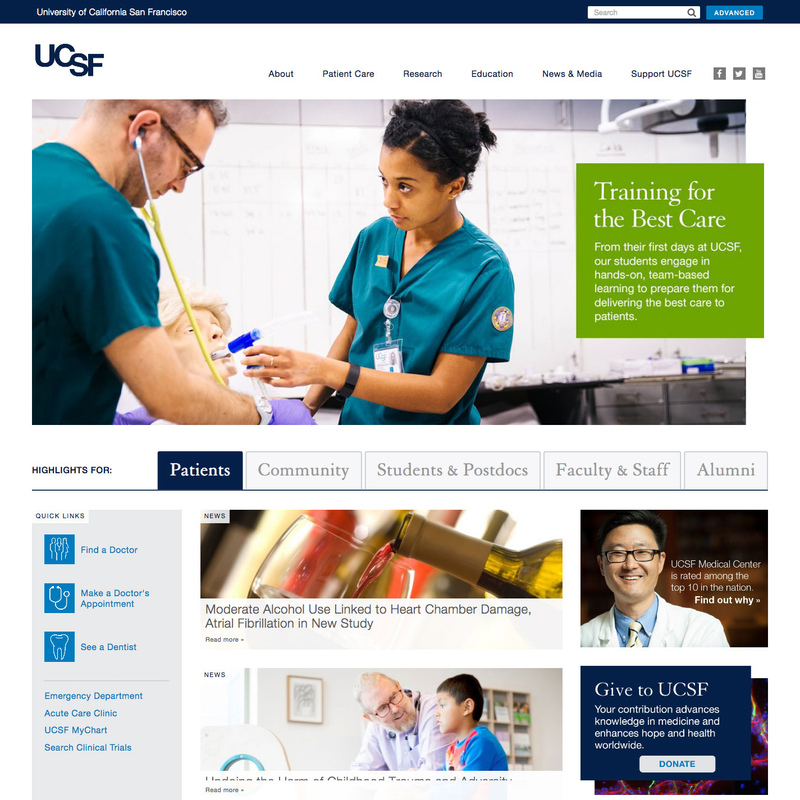 The best websites feature a simple navigation, a clear content strategy and high-quality visuals. 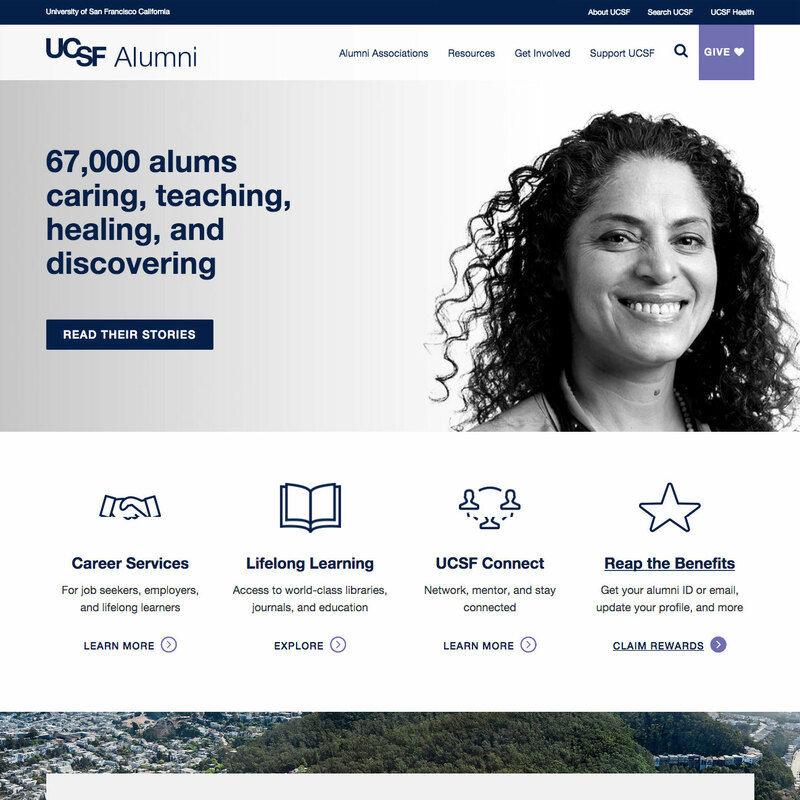 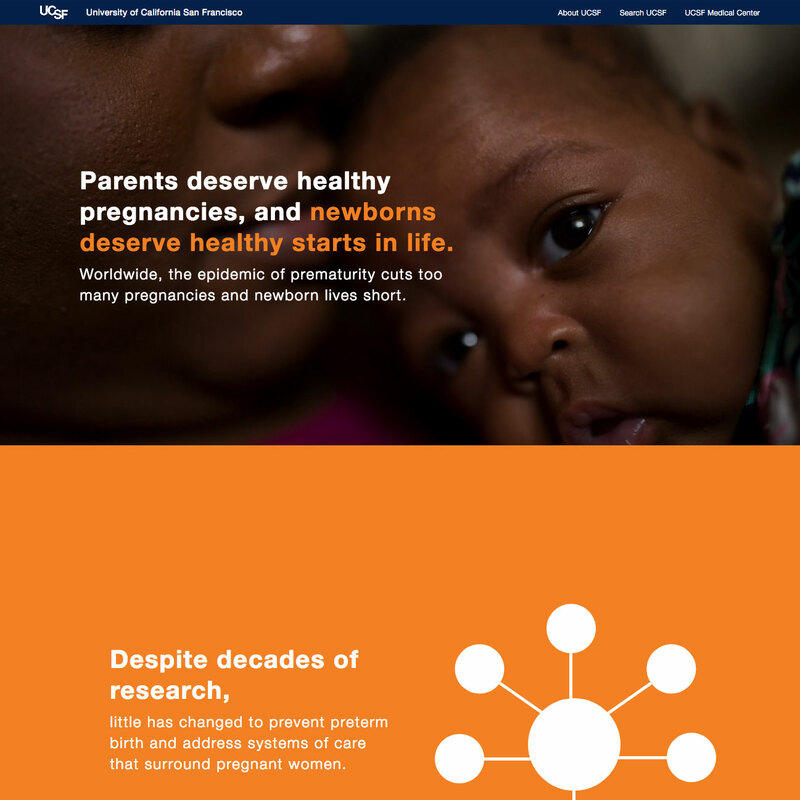 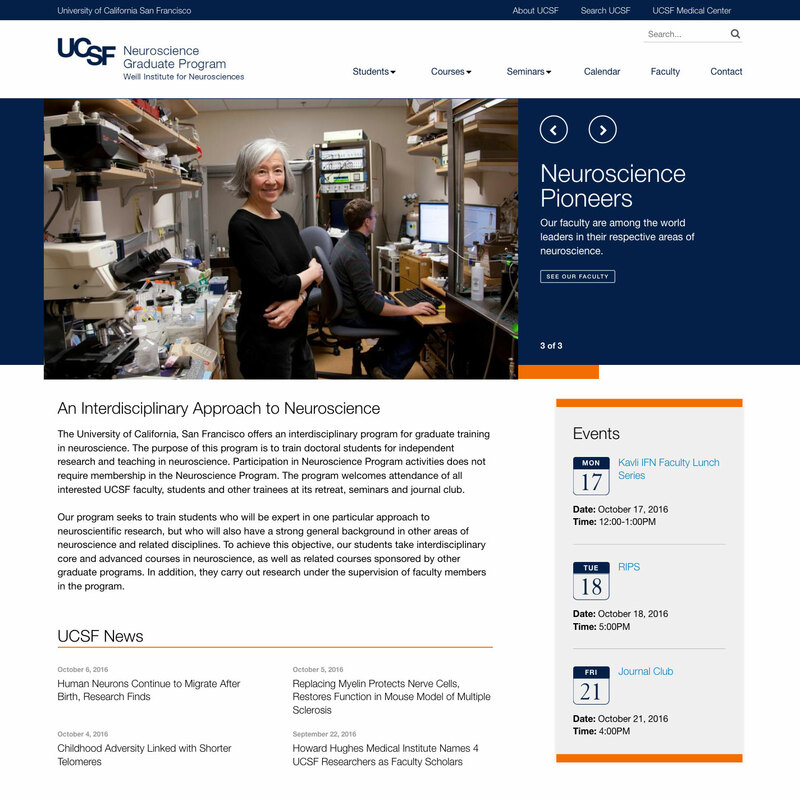 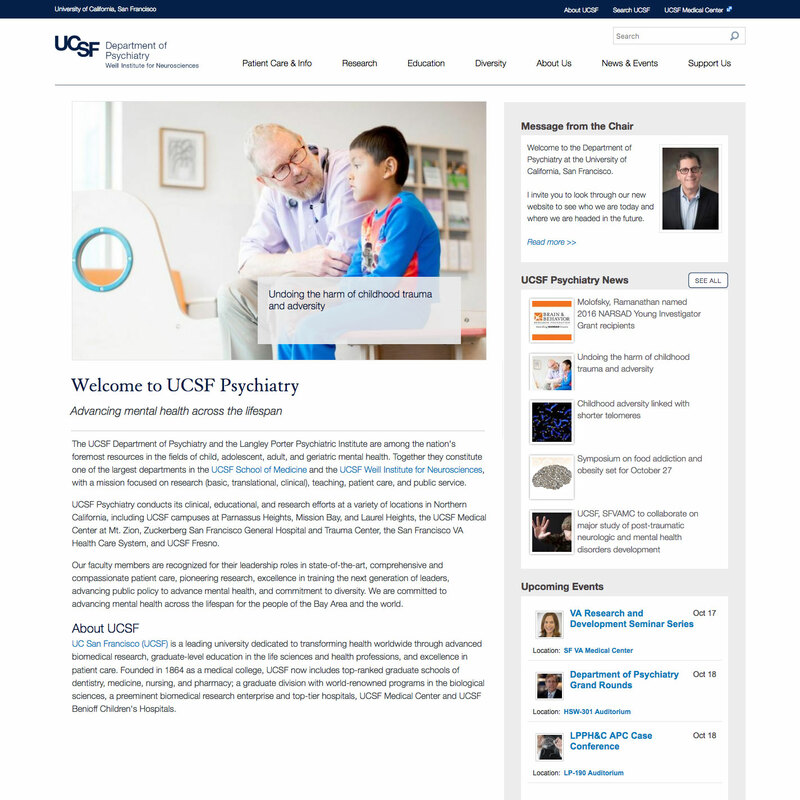 Below are several examples of successful UCSF websites — all built on the Drupal platform — that are engaging to visitors and elevate our brand. 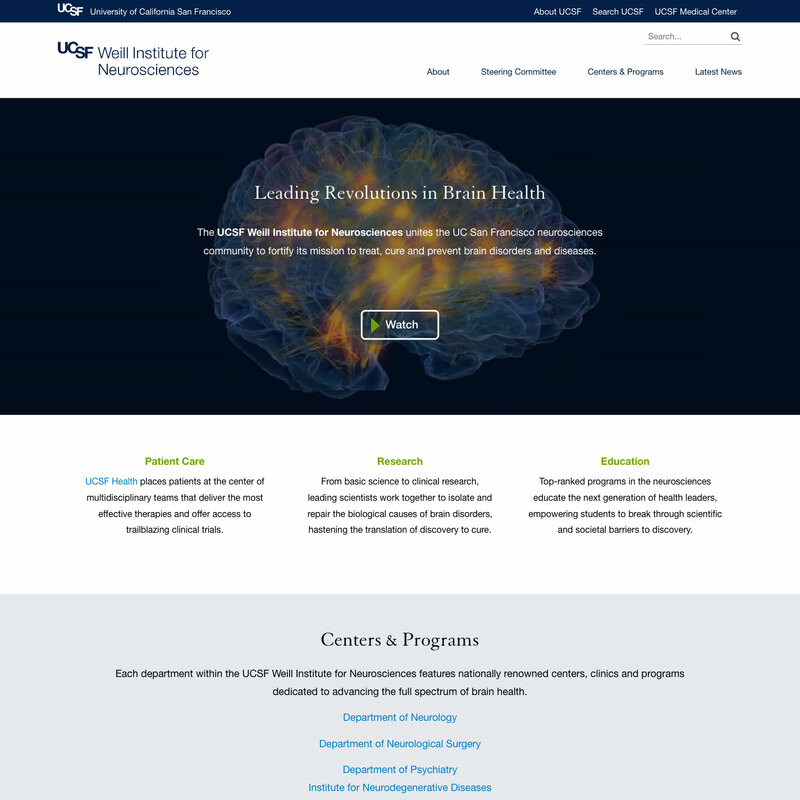 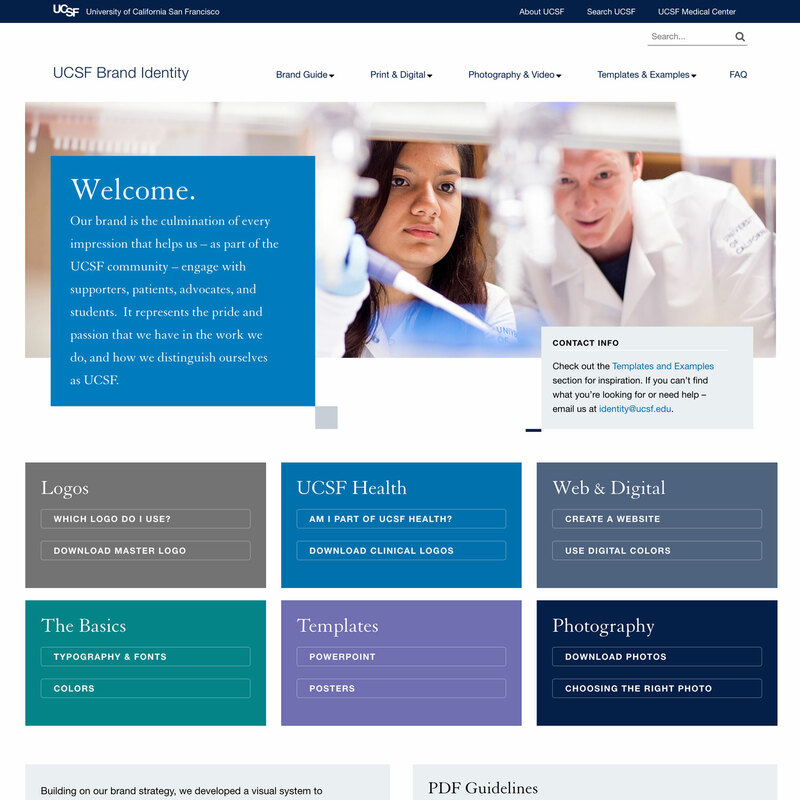 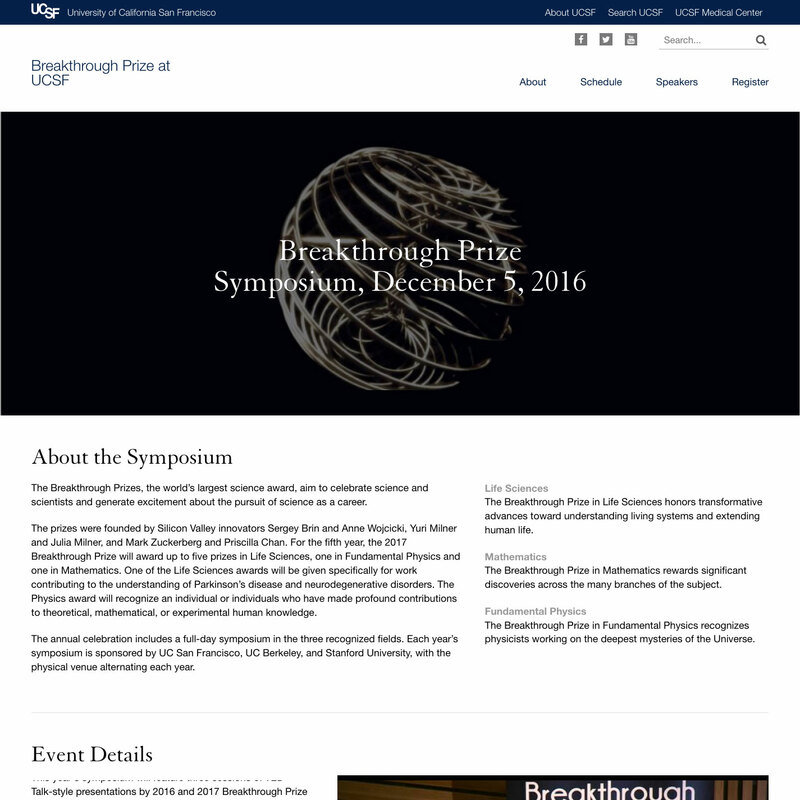 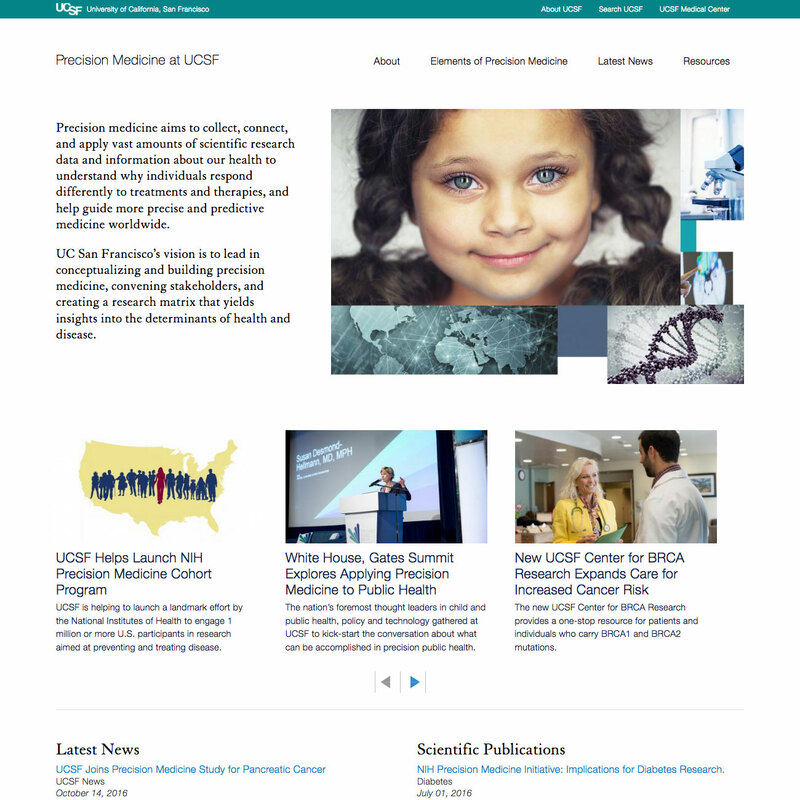 The basic UCSF website templates offer lots of design flexibility while being incredibly easy to use. 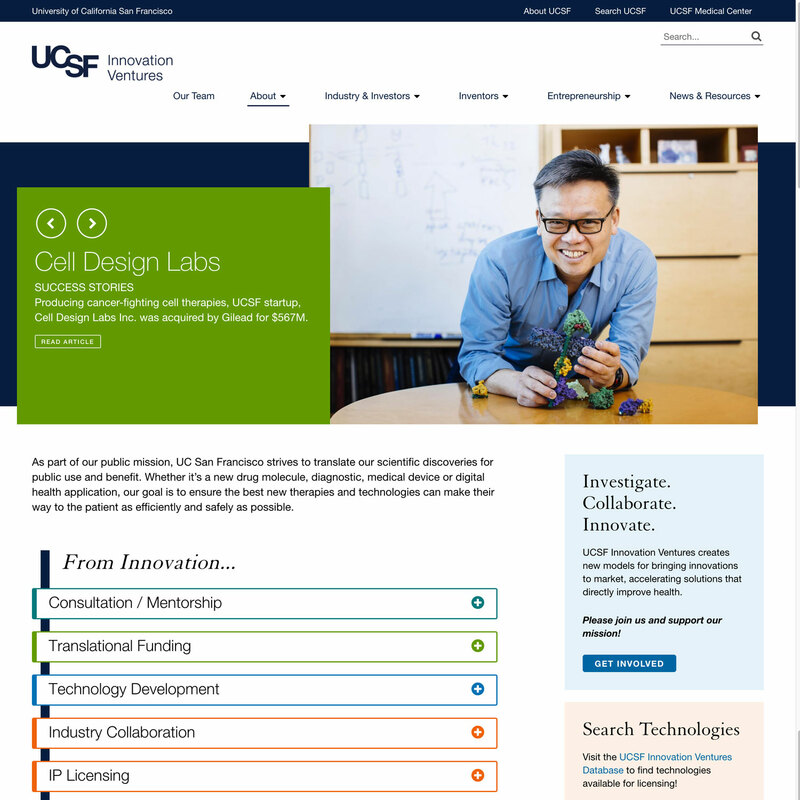 Each of these websites was built on out-of-the-box templates with no additional development needed — meaning that startup was absolutely free! 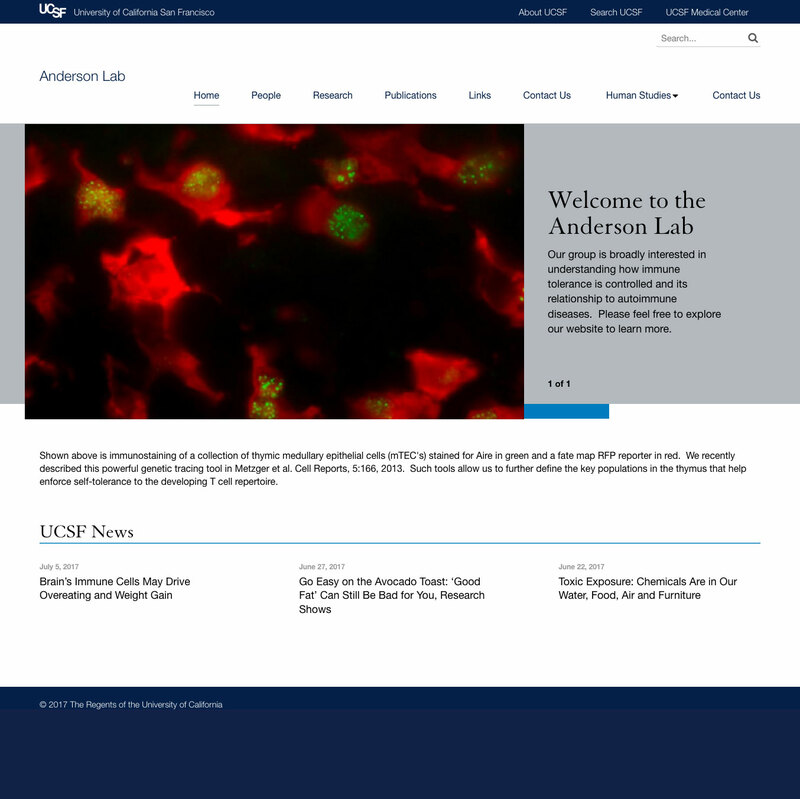 Even if you have more complex needs for your website, you can still use the Site Builder template and simply add some custom features. 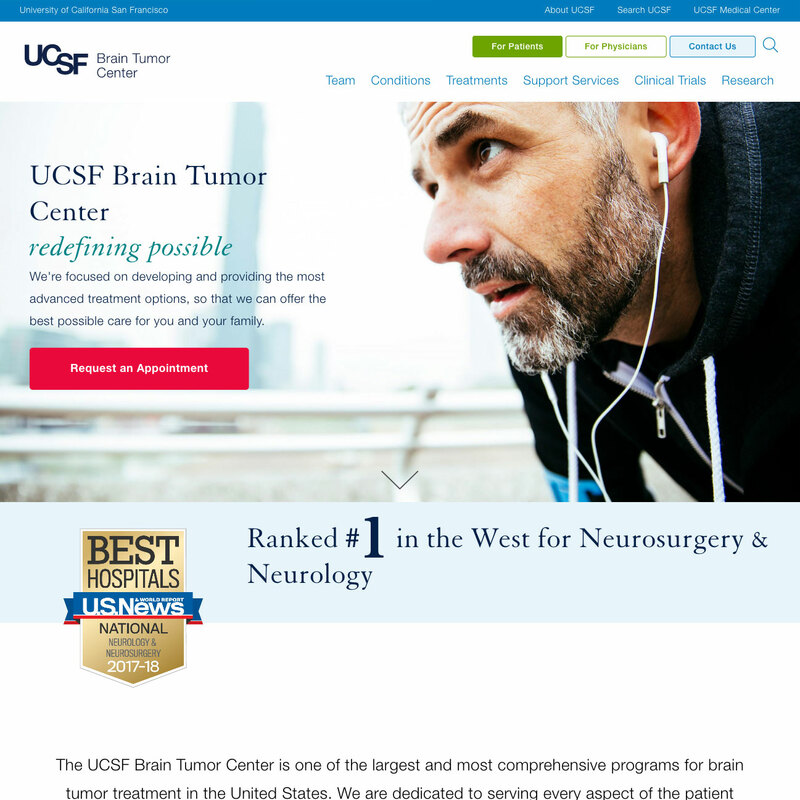 This not only saves on development time and resources, but it also ensures that your website complies with security requirements. 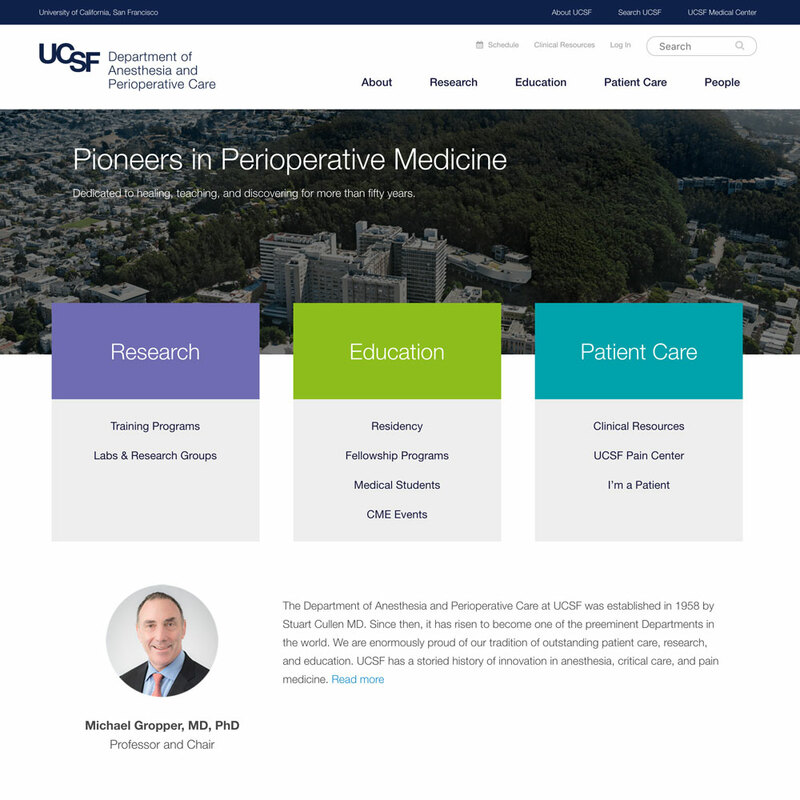 Fully custom websites are only recommended for groups that have the resources — financially and administratively — to maintain them. 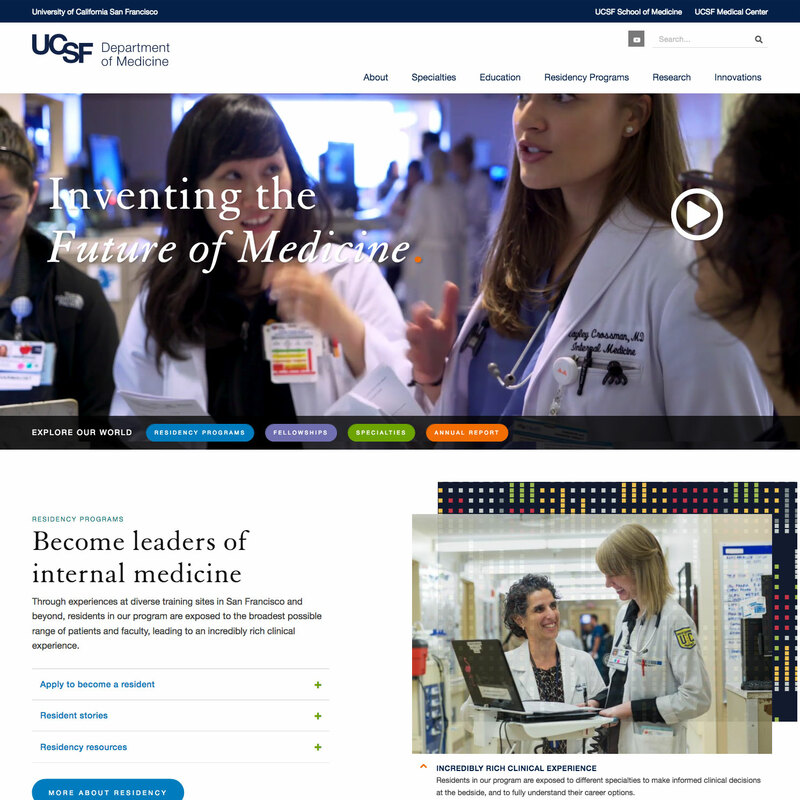 The main reason to go the customized route is to support complex content needs — usually for larger websites such as UCSF's flagship site or school-level sites. 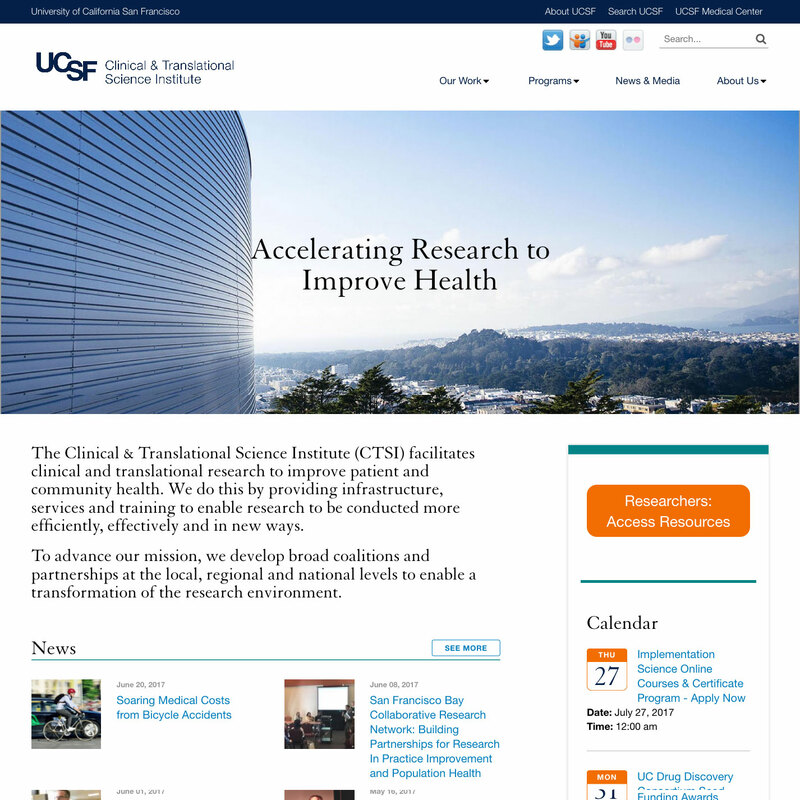 Below are examples of Drupal websites that required contract design and development work.